Taproom on 19th is throwing a block party with food trucks, beer and live music, but the aforementioned date of this Saturday, April 7, will be postponed due to a forecast of wind and rain. The new date has yet to be determined, but when it does, the family-friendly event will kick off at 1 p.m. out front of the South Philly tavern. The food trucks that will be on-site are The Cow and the Curd, Foolish Waffles, OINK and MOO BBQ, Say Cheese Philadelphia and Crème Brolée. 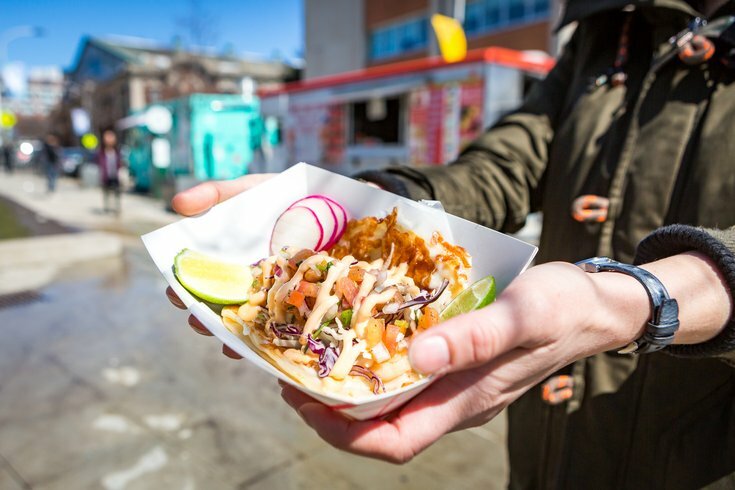 Attendees will be able to grab bites like fried cheese curds, hot roast beef sandwiches, pulled pork tacos and fried chicken with waffles. To wash down all the delicious street food, there will be beer from local breweries, including Neshaminy Creek, Victory and Sly Fox. The event, called Tappin' The Trucks, is a way for Taproom on 19th to thank its neighbors and draw visitors to the area, according to co-owner Michael Strauss. If you plan on attending the block party, remember to bring cash for all food and drink. And if you can't make it on Saturday, don't worry. Taproom on 19th will host more Tappin' The Trucks events throughout the spring and summer.